Lance Armstrong has dominated the news in the run up to this year’s Tour de France. The doping scandal rocked the cycling world to its axles last year. How can he take the lead from here? Cycling’s premier tournament, the Tour de France, took a big hit in 2013 after the revelations of seven-time winner Lance Armstrong’s admissions of doping. It’s difficult to keep faith with a sport built on endurance and personal triumph when it’s revealed that the best of the best cheated. The sport is trying to clean up its act, but it’s like cycling up a mountain. This year the Tour de France has started strong and gradually the news media are concentrating less on the past and more on the future. The focus is now where it should be, on the teams of riders battling through the 21 stages and the true winners going forward into the future. Sadly despite the scandal last year when Armstrong confessed after being retroactively stripped of his wins between 1999–2005, doping in the Tour is not a new thing. As early as its beginnings in 1903 the dubious use of substances to enhance performance has resulted in disqualifications and bans. At the turn of the century riders used strychnine, cocaine, chloroform, aspirin, “horse ointment” and other drugs to give themselves an edge. These days the drug of choice is something called EPO or Erythropoietin, a drug that helps oxygen uptake in the blood and is popular in all endurance sports. Lance Armstrong admitted he used EPO throughout his Tour career. Although he was by no means the first to cheat in this way, he was by far the most high profile. The disappointment from fans and riders who take honesty seriously was huge. Sports are supposed to be about man versus his own limitations as a human being, not man assisted by chemistry attempting to bypass them. The first race was in 1903 as an attempt to boost the sales of a magazine called L’Auto. The first 6 stage Tour was a success, leading to an 11 stage Tour the following year. The modern race takes place over 21 stages spread over 23 days. Rest days and limits to the distances travelled were imposed in the 1960s after another high profile doping scandal, this time resulting in the death of rider Tom Simpson. Simpson died in 1967 on the 13th stage of the race after the ascent from Mont Ventoux. A diuretic combination of amphetamines and alcohol proved fatal to Simpson in the heat of the mountainous stage. Now for safety reasons the stages are broken up with rest days and train journeys around France and the surrounding countries, while still maintaining a loop of some kind. The distances travelled in a day are carefully judged by sports medicine experts to ensure that the route is challenging but not potentially fatal. To keep the energy up, the modern prize for the winner of the race is in the region of €500,000. Although doping is not a new phenomenon it is still a hot topic and causes dispute and anger among riders. Lance Armstrong didn’t help when he recently rather foolishly asserted that it was impossible to win the Tour without doping. Riders were understandably outraged. None more so than David Millar, a former colleague of Armstrong’s and a self confessed doper who is now a vocal anti-doping campaigner. Let’s hope he’s right. The trouble with cheating is it taints all other exponents of a sport. The eye of suspicion is on everyone, guilty or innocent. This makes all sport tougher. Not only are you attempting to surpass your own limitations, you now have to prove that it can be done free of illegal enhancements. For some sports people that pressure may prove too much. But what we wish more than anything is that all the data showing that doping is on the decline are true, especially for the Tour de France the toughest bike race in the world. We need heroes we can trust. The purpose of sports is to be an example of heroism. You perform your sport to show what you can do through training and persistence. Doping scandals shake faith in sports, and diminish the efforts of those who achieved under their own steam. The task of all athletes in the wake of doping scandals is to work to prove that sports performance and achievement is real. That sports people are real heroes. When you look at the trophies on your shelf, no matter what they’re for, can you really live with yourself, knowing that they should belong to someone else? As a sportsman or sportswoman you need to take pride in knowing that you not only did what you did, but you did it yourself. Cheating with performance enhancing substances is a lie and the person you’re lying to is yourself. The Official Tour de France site for information about this year’s race. Anger over Lance Armstrong’s claim the Tour de France can’t be won clean. Little League baseball is an American family tradition. You yourself may even look back on your own experiences with a nostalgic warmth. Do you want to provide that same experience for your own children? How can you explain to them why it’s such a great pastime? Parenting is full of choices. Some of these choices are fun and some… not so much. One of the more challenging choices for some families is how to get your kids out of the house, get some exercise and join in with something. Sports is great exercise and socially very rich, but it can be a tough sell to the kids. Modern children have a distressing tendency to stay home, or stay at a friend’s home, indulging in the new entertainment technologies that the 21st Century has to offer. But we all need to get outside once in a while and interact with people who are not made of pixels on a computer screen or TV… right? It may be that there is a strong tradition of sports in your family, if so, this isn’t something you will ever really have to think about. Sports is an automatic part of your life. But what if that’s not the case? What if your family never really engaged in sports, but you think it might be a good idea? What are the real benefits of something like Little League? Let’s start with a little history. Little League was founded by Carl Stotz in 1939 as a small league in Williamsport, PA, and started composed of just three teams. Over time it has grown and spread in popularity into a nationwide league and the largest organized sports organization in the world. 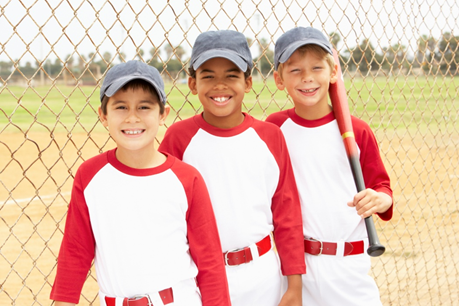 Children between the ages of 4 up to 18 years old can participate in the league. It’s well known that many Little League baseball players leave the league to go to high school and continue to play. Sometimes they even go on to play college baseball and turn professional. It’s potentially a career path for those talented and enthusiastic enough to pursue it. So it’s recognized that Little League is organized, healthy and potentially can result in high earnings way down the road. But these notions may be meaningless to a 4 year old going into the program. How can you sell it to children that this might be one of the most rewarding things they ever do? First of all. there’s the fitness aspect. We call it “exercise”. Children call this “play”. As adults, we know that there are some alarming statistics on childhood weight problems. Some say as many as 30% of the child population is obese or overweight (Source: Trust for America’s Health). Even without the statistics and scare stories about weight, it’s obvious that active kids are healthy kids. You need some reason for them to get outside. Bottom line, baseball keeps kids active and the game itself is play. Another worthwhile upside of taking part in a sport that is watched by others is confidence. Children love to be watched showing off that they can do stuff, showing mastery of their world. But staying in too much damages their social skills and makes them uncomfortable being observed by people. Playing ball in front of an audience gives them confidence, and even makes them enjoy attention. This feeling of confidence and self-awareness can carry over to the rest of their daily life. In addition, being out there on the field is a potent lesson in teamwork; you can’t win a game on your own. You have to work with others, enjoy the company of others and begin to learn how to get along with other people. This is a positive and a negative. Rivalry in groups can cause friction and difficulty. Learning to get past these problems and forge friends from rivals is a valuable life lesson. And finally – although it’s in danger of fast becoming an archaic concept – there’s the idea of sportsmanship. In this day and age of instant gratification and sore losers, it’s vital to educate kids in the ideas of winning and losing. But also doing so with grace. Yes, that is a slightly old fashioned concept, but is it a meaningful one worth perpetuating? Absolutely. You can even make it a family bonding exercise if you yourself get involved in organizing the local league, or just helping out as a volunteer. It’s a great way to spend time with your kids, get to know other kids and parents in your area, and generally provide the glue that keeps people together working for common goals. Whatever you decide to do, and however you end up pitching it to your children, Little League is packed with good stuff for kids to learn and grow. It will be something they will, like you, look back on with pride and warmth. Oh, and it’s really good fun! Our favorite tournament of the season, Wimbledon is the oldest and best-known tennis championship in the modern competitive circuit. Our favorite tournament of the season, Wimbledon is the oldest and best-known tennis championship in the modern competitive circuit. It’s the oldest tournament in the world, which is why it’s officially called just The Championships – when it started, back in 1877, it was the only one! The grass courts of Wimbledon have made or broken the careers of some of the greatest athletes in tennis, lending the action a significance no true fan can ignore. One of the most exciting things about Li is that she’s proved to be an all-court player, having won the French Open, made the Australian Open final twice and advanced to the Wimbledon quarterfinals twice. But the 31-year-old comes into Wimbledon in a state of flux. She started the year with a bang and looked to be back on track to challenge at the French Open after getting to the final in Stuttgart, Germany, but she lost to an in-form Mattek-Sands in the second round. A deep run at Wimbledon is doable. Sport has always provided a diplomatic link between cultures. Ping Pong opened China to cultural exchange with the West; would a Wimbledon victory encourage more open relations? While the French Open has concluded, we feel it’s worth taking a moment from our Wimbledon coverage to discuss the tennis great from whom the Coupe Suzanne Lenglen takes its name. The first truly famous female tennis player, Suzanne “La Divine” Lenglen won thirty-one titles in the course of her career. Among Lenglen’s accomplishments is the fastest Wimbledon victory in the record books – she defeated her 1922 singles final opponent in just twenty-six minutes, while recovering from a devastating pertussis infection. In 1997 the second court at the Roland Garros Stadium, site of the French Open, was renamed “Court Suzanne Lenglen” in her honour. In addition, the trophy awarded to the winner of the Women’s Singles competition at the French Open is the Coupe Suzanne Lenglen. Lenglen died too soon, of complications from leukemia, in July of 1938. While we have no Wimbledon Trophy replicas at QuickTrophy, we do have some very nice metal cup trophies that can be used for your tennis tournament – whether it’s called the Championships or just the Family Games. Author Angus TurskiePosted on June 24, 2013 January 24, 2017 Categories Awards, Trophies, UncategorizedLeave a comment on Get Ready for Wimbledon! As much as we love golf, we can’t help but focus on the US Open Trophy. As much as we love golf, we can’t help but focus on the US Open Trophy – because we love trophies, too. While many trophies of its stature have unique or exotic names, the US Open Trophy is officially named… “The US Open Trophy”. The current trophy dates to 1947, when it was first presented by the USGA. This model is very similar to an earlier U.S. Open trophy that dated to the first tournament in 1895, but that original was destroyed in a fire in 1946. So the current model is a replacement model. The U.S. Open Trophy is permanently housed in the USGA Museum and Arnold Palmer Center for Golf History in Far Hills, N.J. Each U.S. Open champion receives a replica of the trophy to keep permanently. It may be no Cup of the Musketeers, but the US Open Trophy is a fine trophy wit a clean, classic design, and little ornamentation to clutter its fine lines. Perhaps the name suits it in that respect. We don’t offer any replicas of the US Open trophy, at QuickTrophy, but we do offer many fine golf trophy cups that can serve very well as a perpetual trophy for your annual golf tournament. What a week! We hope you’ve found the help and information you need to get started in this wonderful, relaxing hobby. Fishing is one of the most established, well-loved hobbies a person can have. 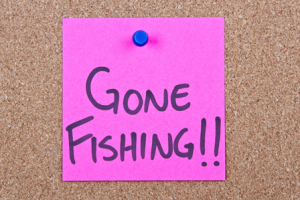 It’s proverbial: someone who’s left the workday worries behind for peace, quiet, and contentment is still said to have “gone fishing”. Here is some help and information you need to get started in this wonderful, relaxing hobby. The online fishing community is huge and welcoming, with resources for anglers of any skill level. Whether you’re just learning to fish, or you’re from a long line of fisherfolk, there are plenty of excellent resources online to help you get the most out of fishing. If you’re just getting started, FLW has a comprehensive guide to the basics, from tying lines to selecting tackle. There are plenty of other “fishing 101”-style resources out there, too, like the South Carolina Department of Natural Resources YouTube Channel. There, you’ll find advice on fishing for common species, cleaning your catch, and how to enjoy fishing safely. Once you’ve got the basics, why not take the family on the road to explore fishing opportunities around North America? It’s a great “excuse” for a vacation and can take you to communities and locations you’d never see, otherwise. Start with Outdoor Life’s list of the best hunting and fishing towns in the United States, or head straight to the top with the top ten trophy species in North America. These days, it can be hard to make time for the kids. Parents are under a lot of pressure, with hectic schedules and career demands, so having the family follow you out to fish may seem like spoiling a precious opportunity for peace and quiet. You’d be surprised, however. With the right attitude and a little preparation, it’s easy to turn fishing into a fun, relaxing outing for the whole family. TakeMeFishing, a project of the Recreational Boating and Fishing Foundation, has a great selection of tips and tricks for getting the little ones involved. To commemorate that annual outing with the family, a fishing trophy is great! QuickTrophy offers many different sizes and styles of fishing trophies – from small, personal fishing trophies to large, perpetual trophies to help keep track of who caught the biggest fish each year. With Summer coming on strong, it’s time to get outside and shake the off the dust of Winter. There are dozens of amazing outdoor sports and activities to chose from; this week we’ve picked out our favorite outdoor sports – and their distinctive trophies – to spotlight for you. Outdoor sport and competition is possibly the healthiest thing to encourage in your family and friends. Fresh air, sunlight, and exercise may not be a miracle cure, but an active lifestyle is the one of greatest determinations of health and longevity we know of. So get outside, play hard, and live a good, long life! We’ve given a lot of attention to fishing this week without touching on its competitive side. There are as many fishing tournaments and contests as there are fish in the sea; it’s not why we fish, but a little competitive spirit makes it that much more fun. QuickTrophy offers a number of fishing trophies, plaques, and awards, with the some of the most popular competition fish as figureheads. You can get bass, marlin, trout, pike, and walleye trophies at competitive prices and with incredibly rapid delivery. Ah, paintball. What could be better than gather your friends and colleagues together, heading off to a secluded area, and shooting each other? Paintball enjoys increasing popularity as a competitive sport and team building exercise in almost every region of the country. Ever since the first game was held in 1981, the sport has grown rapidly. Only two years later, paintball was a nationally competitive sport. Paintball trophies and cash prizes are awarded at the league, regional, and national levels. It’s a favorite around the QuickTrophy office, too. Maybe you’ll see us out there – but not if we see you first! Traditionally, T-Ball is one of the first sporting leagues young baseball fans join. With altered rules for younger players, it’s a great introduction to the theory and practice of baseball. Players learn team play, exercise, discipline, and competitive spirit. There’s a lot of debate as to when T-Ball began and who invented it. Versions of the game have been played since the mid-50s, with T-Ball really taking off in the late-70s and 80s. President Reagan hosted the first T-Ball game on the White House lawn, a tradition succeeding Presidents continue. It remains a mostly grassroots game, however, with league and regional competitions making up the bulk of tournament play. While most leagues are self-funded, volunteer affairs, recognzing the achievements and progress of young athletes with inexpensive, quality T-Ball trophies is fairly common. T-Ball is a game played to lay the fundamentals for bigger, tougher competitions, so rewarding and encouraging young athletes is a priority. Golf is both a sport and a cultural institution. In some periods of American history, you were hard pressed to advance yourself in the business community without learning the game. The popularity of national competition and a wave of public course openings in the 70s and 80s made golf a much more accessible and popular sport. Amateur competitive leagues sprang up all around the country, composed mostly of friends and colleagues in the local area. Not satisfied with bragging rights, many of these leagues organize regional competitions and recognize the local champs with plaques, golf trophies, or a designated parking spot at the course. While cross country season remains around the corner, track training may often begins in early- to mid-Summer. Track and field sports are some of the oldest competitive events in the Western world, with roots in the footraces, vaulting contests, and throwing competitions of ancient Greece. Staying motivated through the long winter can be a problem for younger track athletes. That’s why it’s a good idea to recognize their achievements in the past year with a customized track and field trophy. Keeping the memory fresh through the Winter will encourage young athletes to jump back into it, come Summer. From informal dirt tracks in 1970s California to a spot in the Summer Olympics, BMX racing is a sport that’s come a long way in a short time. The sport started in imitation of motocross racing, with commonly-available bicycles used in place of motorbikes. While there are a number of regional and national league competitions, most BMX racers get into the sport through informal play or local competition. Setting up a local league, with its own rules and race schedule, is a great way to get young athletes into the sport. 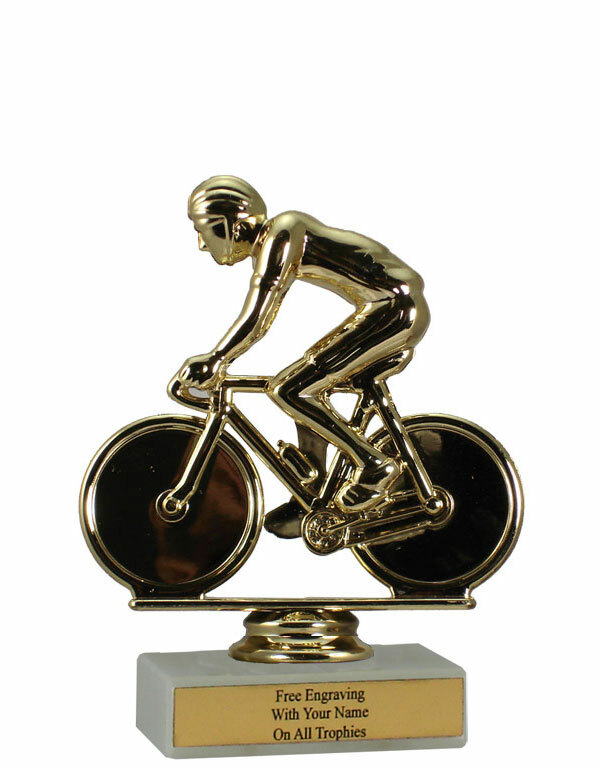 BMX trophies are awarded for distinction in a number of categories, from racing to trick riding. Competition sailing is a sport with a global following and deep historical roots. Every culture with access to maritime technology has, at some point, spawned a group of racing fans. Summer camps, when possible, offer sailing and canoe instruction to kids over a certain age. When we were young, the yearly sailboat race at Boy Scout Camp was something we seriously looked forward to. Each troop would pitch in a few dollars, purchase a sailing trophy, and customize it with the Troop number and Patrol name of that year’s winner. Some of us still have a trophy or two from those years; while not of the quality and material available these days, they hold a lot of precious memories. Cultivating a love of outdoor competitive sports is one of the best things your can do to improve the health, fitness, and longevity of your kids. There’s really nothing like getting out in the open air, and the physical, mental, and social benefits of competition sports lay strong foundations for future success. We pooled QuickTrophy staff and came up with our seven favorite outdoor sports, all of which are easy to join and enjoy in almost any region of the country. 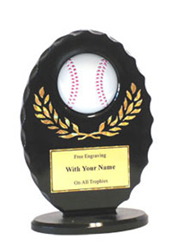 Encourage your kids to get out and play hard by supporting their favorite outdoor sports and rewarding their accomplishments with custom award trophies. It’s one of the best investments your can make in their future… and it’s incredibly fun! This week, we navigated one of the biggest debates in kids’ sports, today: is competition healthy? This week, we write about one of the biggest debates in kids’ sports, today: Are competitive sports healthy? Here is some insight and discussion from experts and sports figures, to try and understand both sides of the issue. Many of us grew up with sports. Competitive sports for kids are so much a part of our environment, we can’t see how anyone could take issue with encouraging competition. Unfortunately, many parents reinforce this negative stereotype of winning at all cost. Because they want their children to be winners, they often force their kids to take advanced classes or practice long hours to make it into elite sport teams or dance programs. They hire tutors and private coaches to ensure that their child is a winner, implying that just doing a good job isn’t good enough for their child. The key problem? Focusing on victory rather than the game. If we tell children the only reward of competition is victory, what won’t they do to get it? Encouraging healthy competition is important. Sports bring a number of proven benefits to kids who play, beyond physical and mental development. (There’s a strong social component, too, which is one place technology can really help.) So, what can we do? Does the game need to change? […] It seems equally evident that sports are powerful social experiences that may, under the right circumstances, have positive benefits. If sports are to have a positive impact on the character development of participants, the leadership and behavior of the coach are key. We’d go farther than that, even. All of us adults – parents and coaches alike – are responsible for fostering and encouraging values of sportsmanship in our children. As the 2012 London Olympics debut and the world gets to watch the dreams of young athletes come true, the joys and triumphs of sports are obvious. Winning and medals aside, however, involvement in sports has real benefits for kids’ physical, social, and even moral development. Getting this right is about more than sports. It’s about the health, happiness, and future success of our kids. Our kids aren’t gladiators. They’re competing, but they’re playing a game. Let them play, as hard and as well as they can. Recognize personal development and good sportsmanship, not victory above all. There’s a lot of controversy about the value of encouraging children to play competitive amateur sports. There’s a lot of controversy about the value of encouraging children to play competitive amateur sports. For some of us, that this is even a subject for debate is counter-intuitive and not a little bizarre. Sports build character. It’s axiomatic. But there is healthy competition, which enriches the lives and development of children, and unhealthy, win-at-all-costs competition. How do we encourage and support the former, while avoiding the unfortunate consequences of the latter? This week, we’ll take a look at what to avoid and what to encourage in kids’ healthy competitive sports. The answer to competition’s dark side- the win-at-all-costs, hate your enemy extremes- is not to abandon competition altogether, but to find and support what’s best in the game. Then, we’ll identify the key element of keeping sports clean and look into ways to leverage modern technology to encourage, rather than discourage, athletics and competition. Having a healthy, physical outlet for our kids has never been more important. Stick around for a week of discussion and advice around the theme of encouraging healthy competitive sports for kids. While the victor at the French Open takes home a replica this year’s Grand Prix trophy is awarded, there is one unique, irreplaceable trophy of which only the replica remains: Floyd the pig. Before there was a Floyd of Rosedale Trophy, given annually to the winner of the Iowa-Minnesota college football game, there was a live, snorting prize hog called Floyd of Rosedale, named for the governor of Minnesota and the Iowa farm where the animal once lived. Floyd’s career as a living trophy was a short one. He was the price of a wager on the 1935 Hawkeyes/Gophers game between Governor Clyde Herring of Iowa and Minnesota Governor Floyd B. Olson, but died of cholera a year after the game. Sports athletes are among the most competitive bunch of people – especially if they are fighting for one of the most coveted trophies of all time. In the case of Minnesota and Iowa football fans, this has to be the Floyd of Rosedale – a trophy that has been passed from one team to the other over the years. Find out more about the importance of this title to the players and their fans from Tyler Mason’s article. Other strange trophies exist. Two football teams fight it out for a cannon. Yes, it’s true – the prize awarded to the winning team is a 545 pound gun with a fifty-five millimeter barrel. How in the world did that happen? ‘Fremont Cannon Among Many Odd Rivalry Trophies in College Football’ by Dave Toplikar explains the history behind the cannon and also writes about several other strange trophies.